BBC News……..A collection of outfits and souvenirs is being sold off by Welsh singer Mary Hopkin. Hopkin, 67, from Pontardawe, shot to fame in 1968 with her number one single “Those Were The Days”. She was one of the first artists to sign with The Beatles’ Apple Records label. 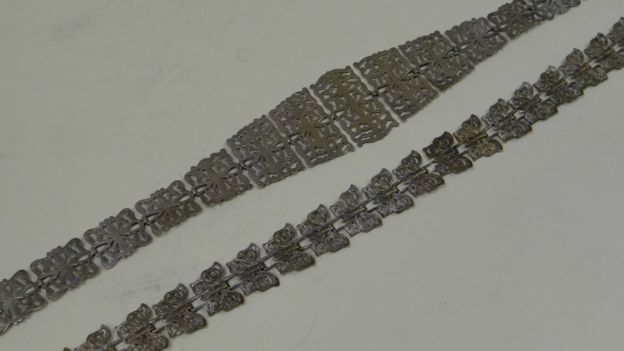 The collection, which includes items worn at the height of her fame and a rare Beatles poster, is being auctioned off in Cardiff and Colwyn Bay, Conwy. Hopkin’s success story began when she won the talent show Opportunity Knocks at 18. She had a string of hits in the late 1960s but stepped back from pop music in the early 70s to raise a family with her husband, producer Tony Visconti. In 1970, she was made a Bard of the Gorsedd at the National Eisteddfod in Ammanford for her outstanding contribution to Welsh cultural life. 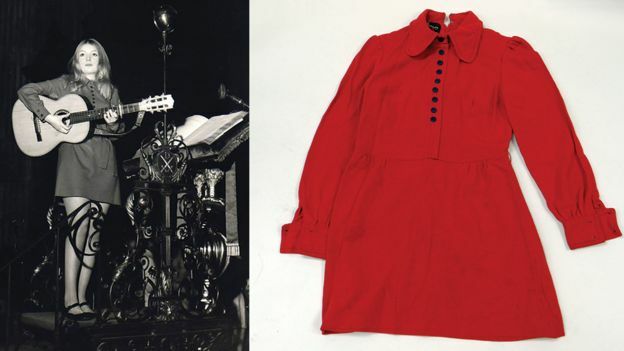 Hopkin’s daughter Jessica Lee Morgan, said: “Mary gave these clothes to me a while ago. Some of them are very delicate and I just couldn’t keep them in the manner to which they are accustomed! 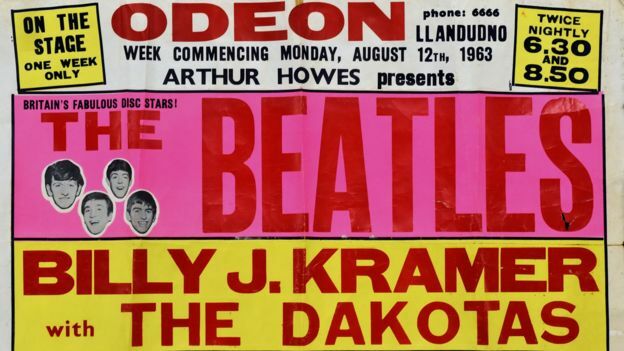 Also up for auction is poster advertising The Beatles’ August 1963 concert at The Pier Pavilion in Llandudno, Conwy, which is expected to sell for £400 to £800. That same August, the band went to number one with their second hit “She Loves You” and Beatlemania erupted across the world. Auctioneer Ben Rogers Jones said: “It was right that the poster should be delivered to our auction rooms in Colwyn Bay, only three miles from the venue where The Beatles played that night. 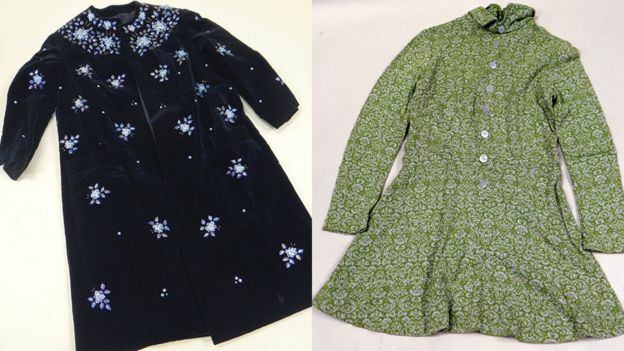 The Colwyn Bay auction takes place on 23 May; Hopkin’s clothes will be sold at a separate event in Cardiff on 2 June.